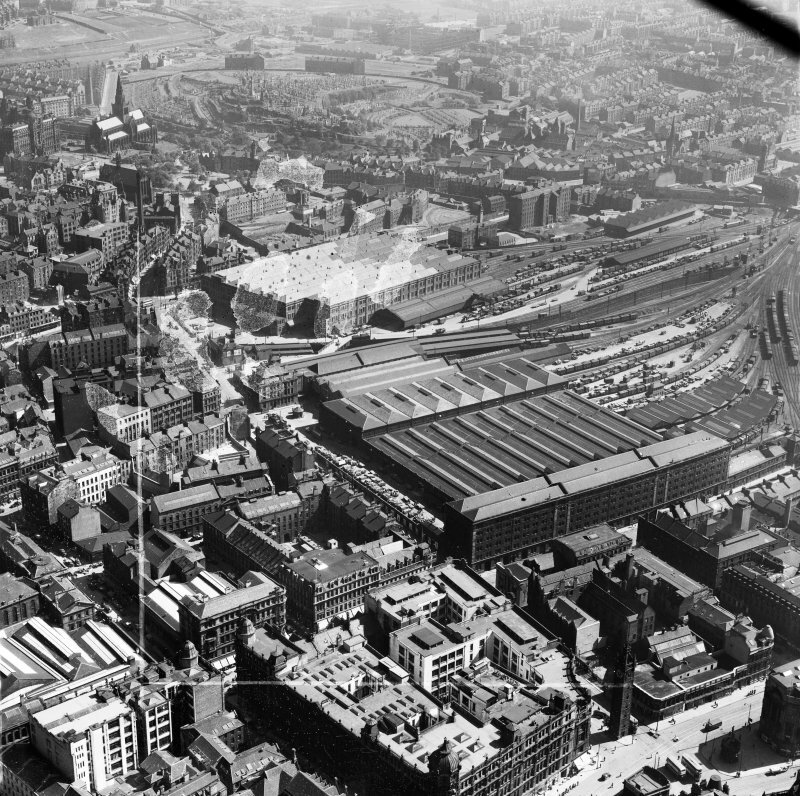 Glasgow, general view, showing College Goods Station and High Street Goods Station. Oblique aerial photograph taken facing east. This image has been produced from a crop marked negative. 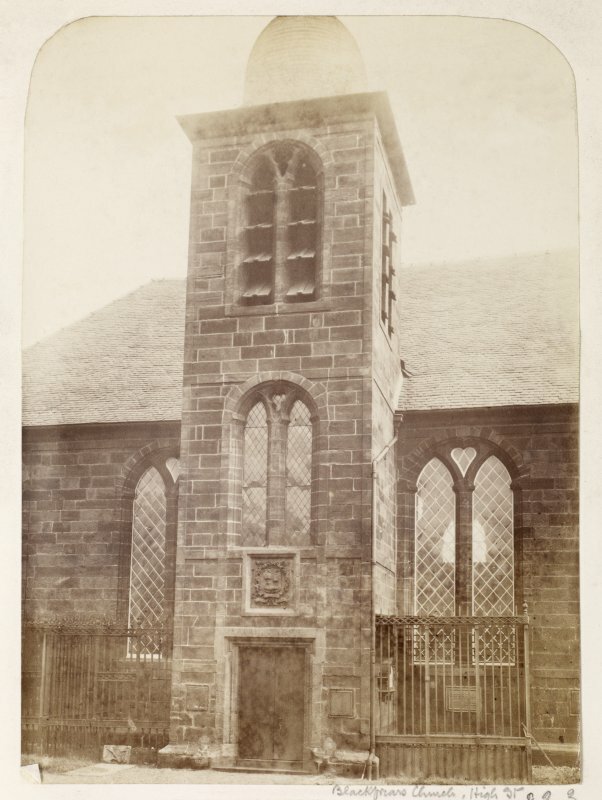 Glasgow, High Street, Blackfriars Church. 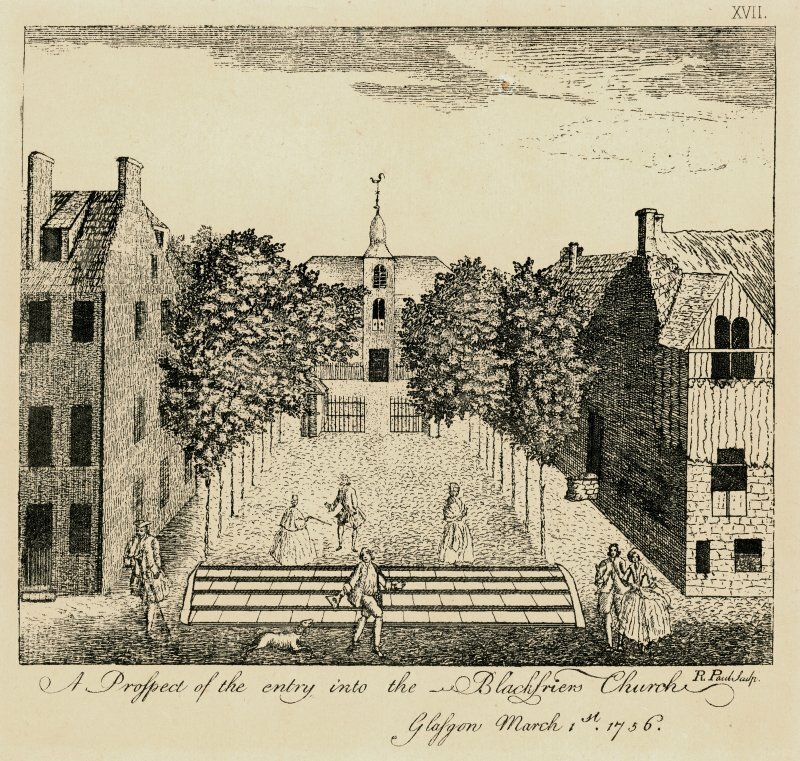 Engraving of view of church from North-West. Insc: 'XVII A prospect of the entry into the Blackfriers Church. Glasgow March 1st 1756. While several churches and chapels have been built on this site in relation to the Old College, the last church on the site was demolished to make way for the expansion of the rail network of Glasgow, in this case a Goods Depot. The Mitchell Library, Glasgow: Bygone Glasgow No.2 - reproduced drawing. Glasgow in Former Times I p.67 - 2 Lithographs.